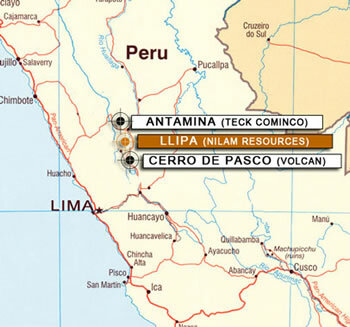 Two major mining concessions in Central Peru. LLIPA mine is located NE of the Linderos Project and accessible by highway (380 km from Lima). The utilities of water and electricity are available in the near proximity of the LLIPA project, greatly facilitating mining operations. The average height of LLIPA project varies between 3,600 to 4,200 meters above sea level.